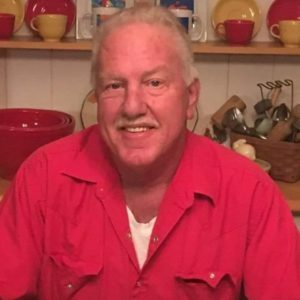 Ronald Theron “Ronnie” Bruce, age 65, of Talmo passed away Monday, January 28, 2019. Ronnie was an avid guitar player. He retired from Simpson Trucking after 19 years. Ronnie was of the Pentecostal faith. Survivors include his sister Wanda Bruce Cruce and husband Jesse; nephews Greg Cruce and Brad Cruce; great nephews Austin Cruce and Eli Patton; ex wife Deborah Bruce Harris; step sons Michael Waddell and Shane Miller; step daughter Deborah Michelle Miller; 9 grandchildren and 5 great grandchildren and a host of other relatives. He is preceded in death by his parents Walter and Grace Brown Bruce. The family will receive friends 6:00 pm to 8:00 pm Wednesday, January 30, 2019 at Lawson Funeral Home Chapel. Interment cremation. A Memorial Service will be held at a later date. Arrangements by Lawson Funeral Home, 4532 Hwy 53, Hoschton, GA, 30548, www.lawsonfuneralhome.org, 706-654-0966.